American Racing AR321 Fuel Rims with Gloss Black With Diamond Cut Lip Finish are a beautiful 8 spoke rims with a strong structural design. The American Racing AR321 Fuel line comes with 16 X 8, 17 X 8, 20 X 8.5 sizes and may come with other available finishes, American Racing models or styles. 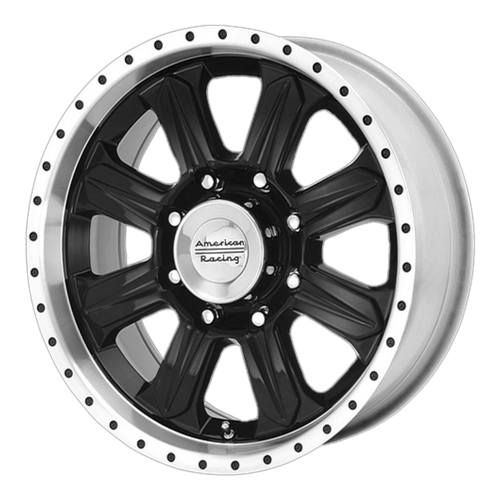 Free car fitment guarantee with every American Racing Rims order before it ships out.